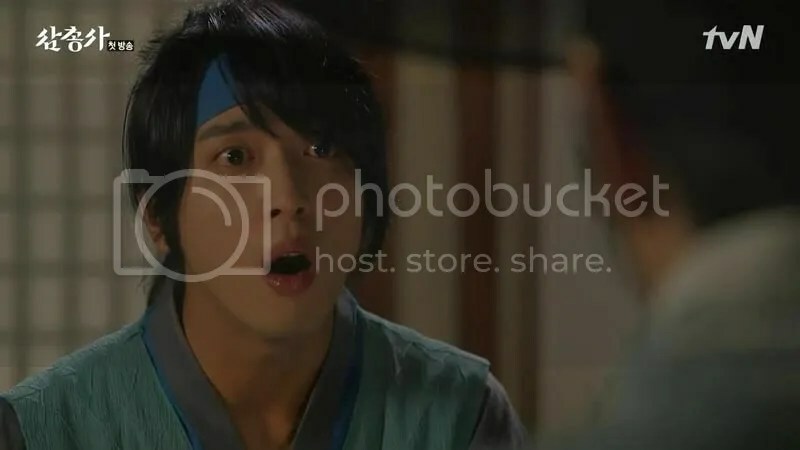 Loosely based on the Alexandre Dumas’ novel of the same name, The Three Musketeers follows the story of Park Dal Hyang (Jung Yong Hwa) who dreams of becoming one of the king’s guards. 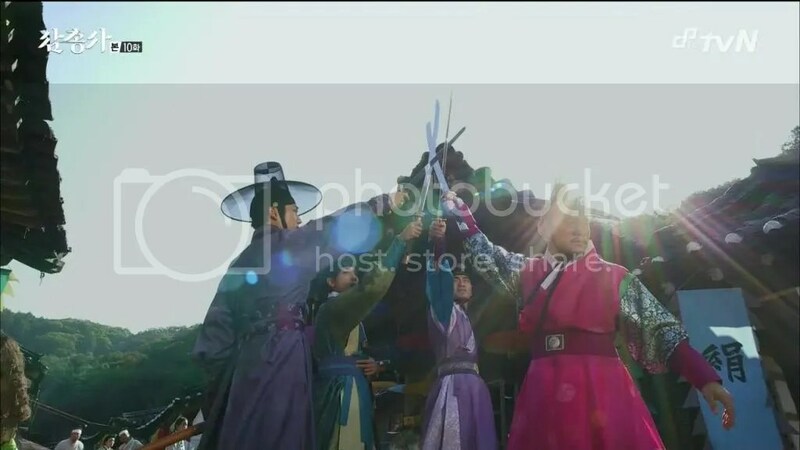 On his way to Hanyang, he encounters three mysterious men during a swordfight who call themselves “The Three Musketeers”. 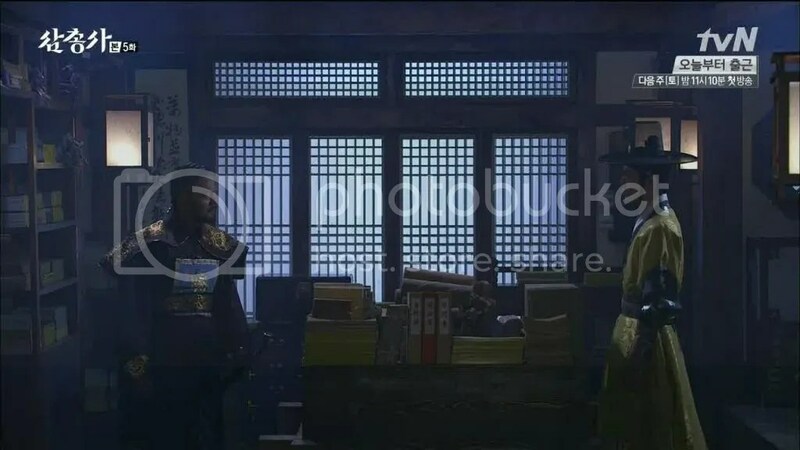 In fact their true identity is the Crown Prince So Hyun (Lee Jin Wook) and his two guards, Heo Seung Po (Yang Dong Geun) and Ahn Min Seo (Jung Hae In). 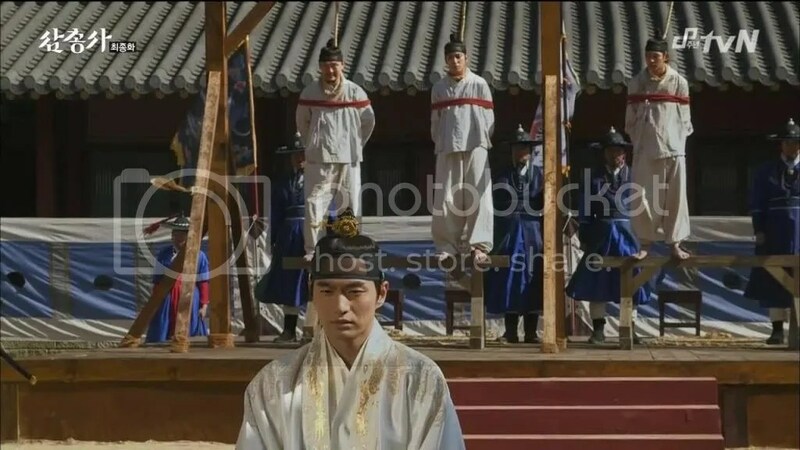 The lives of the four men are intertwined as they are embroiled in a corruption plot aimed at starting a war between the Joseon Dynasty and China. The thing that the drama benefits from is that they’ve got source material to work off of in order to help establish the basic plot, characters and pacing. It’s a story that’s also lasted the ages. In terms of how the characters come across in this remake is basically left to the performances of the actors. I think the drama was cast really well with each actor doing what they do best for their role. Lee Jin Wook is great at playing the heartbroken but stoic lead while Jung Yong Hwa has that confident but inexperienced aura about him. 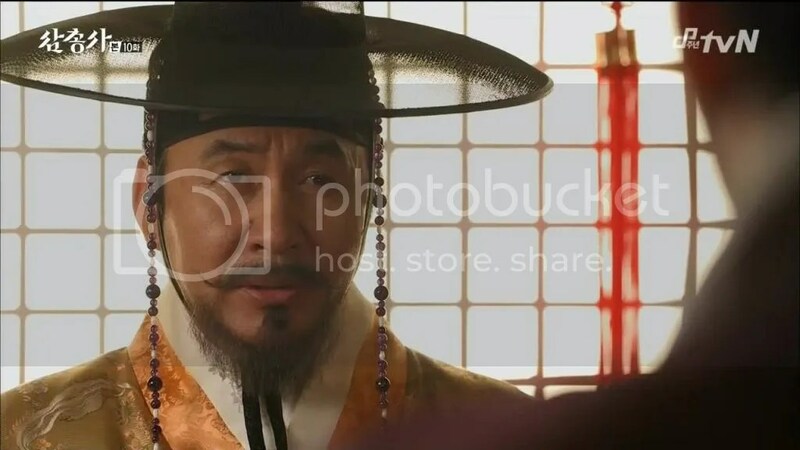 Of course, my favorite is Yang Dong Geun who brings the comedy and an unnerving nose-picking tick which works well in depicting the smarminess of his character. 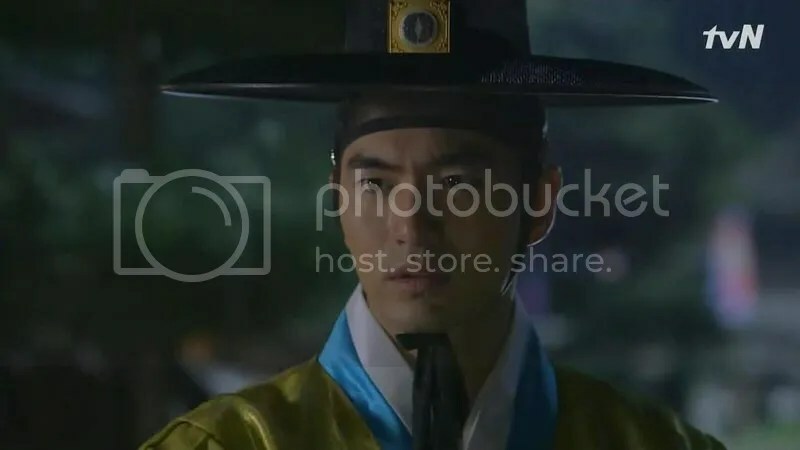 While I enjoyed seeing Ahn Min Seo playing the Korean version of the religious Aramis, we didn’t get much character development for him. Hope that changes in the upcoming 2nd season. 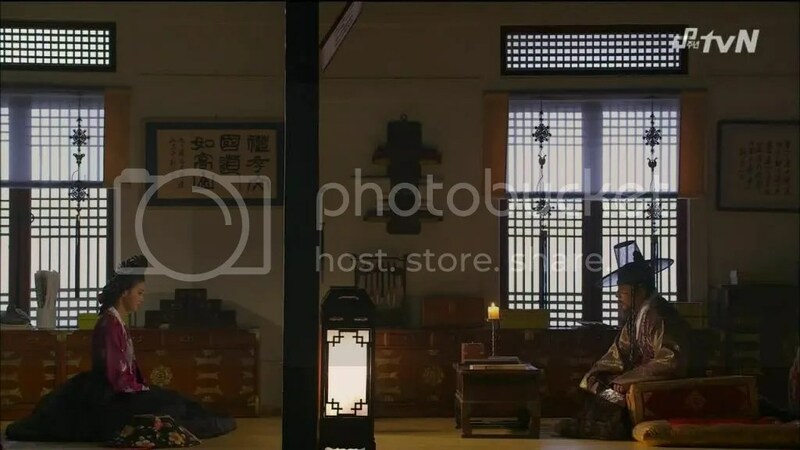 For me, the most intriguing character was Jo Mi Ryung (Yoo In Young) and it probably because Milady de Winter is an intriguing character from the book for many people as well. She starts off being a sympathetic character before you learn of her true nature and because we’re given tidbits about her past in piecemeal, it heightens the suspense. Yoo In Young is incredibly convincing playing the victim and turning it off in the next split second that made her performance particularly chilling. It looks pretty good that we’re going to see Season 2 fairly soon. Previously, it’s been really hard to tell not only with Korean television shows but with Korean cable networks as well. They technically don’t have seasons the way we do here in the U.S. so there’s no set schedule. Also, we may even see a 3rd season as well and certainly there’s enough material from the Dumas’ works to warrant a 3rd season. 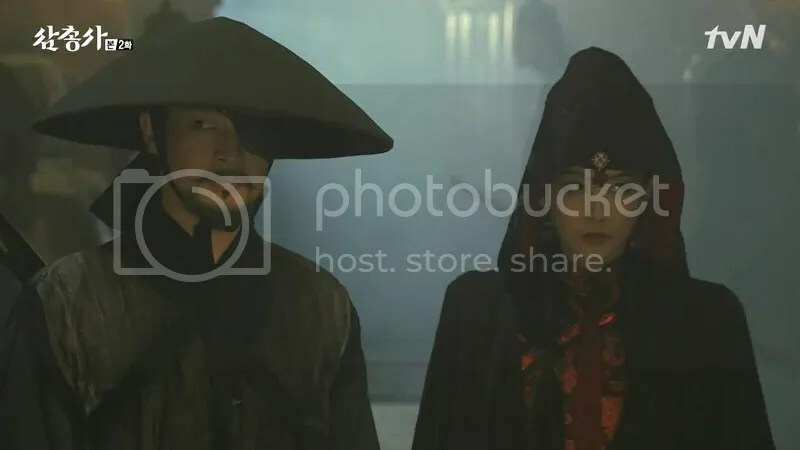 However, it’s hard to say if these same characters will have the same impact moving forward especially for a character like Mi Ryung. Where do you go when someone’s true nature has been revealed? It would feel like a disservice for us to take a backstep and make us pity her again so I don’t see any choice but making her next season’s big baddie. In order to that, I hope the writers don’t limit themselves by holding back. However, we’ll just have to wait until next year to see what Season 2 offers us. 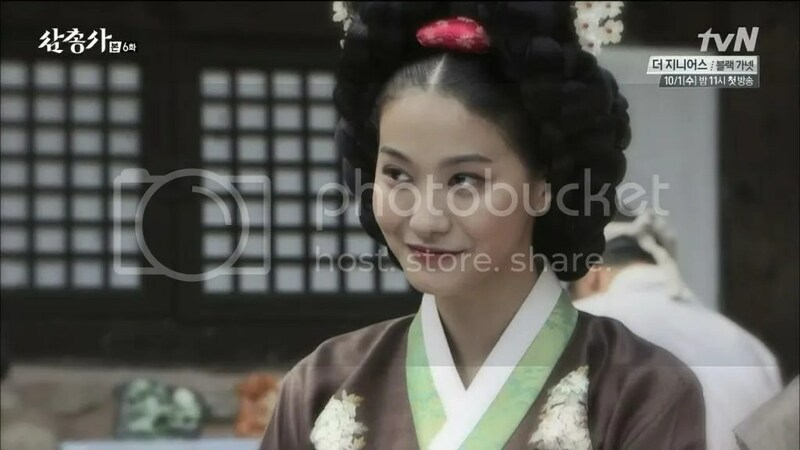 I do have to give special mention to Kang Yoon Seo or the Princess (Seo Hyun Jin). I liked that she struggled emotionally and mentally with the issue of her betrothed marriage. 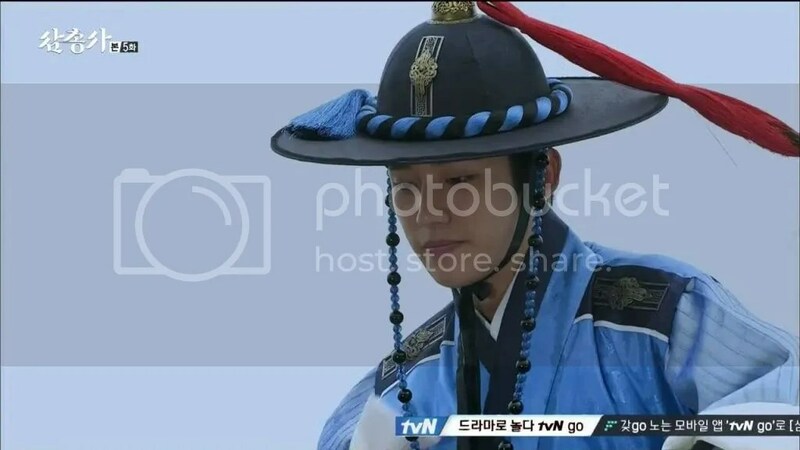 Early in the drama, viewers wondered if she was meant to be with Prince So Hyun or Park Dal Hyang that it not only affected the relationship of the royal couple but also affected the relationship between the Prince and Park Dal Hyang. Ultimately, I think the Princess’ choice made the most sense logically but I also liked how their romance blossomed. 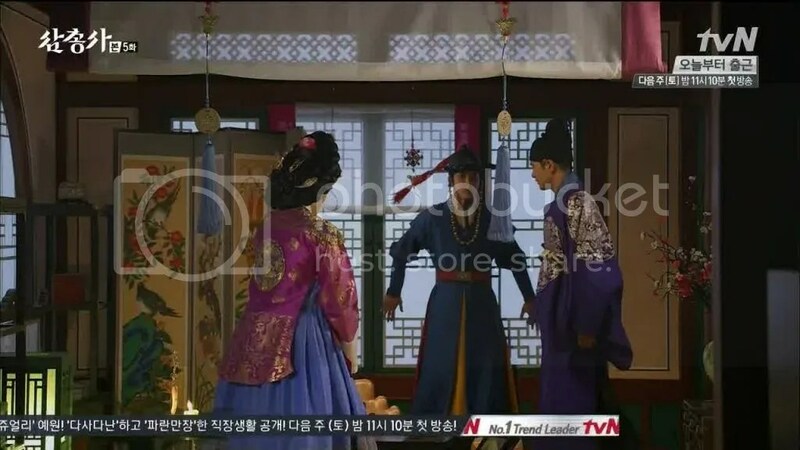 Prince So Hyun may not be the most attentive husband but he certainly wasn’t a cruel husband. However, I also wonder how their relationship will change in the next season because the Queen of France did not end up having a happy marriage to her king. Unfortunately, I felt like the drama could have improved upon Kim Ja Jum’s (Park Young Kyu) storyline. His aim to manipulating the monarchy into believing that war with China was imminent didn’t feel like strong enough to carry the plot. Repetitive tactics, alliances switching sides numerous times, it felt like the corruption plot went in circle a number of times that I lost interest most of the time. 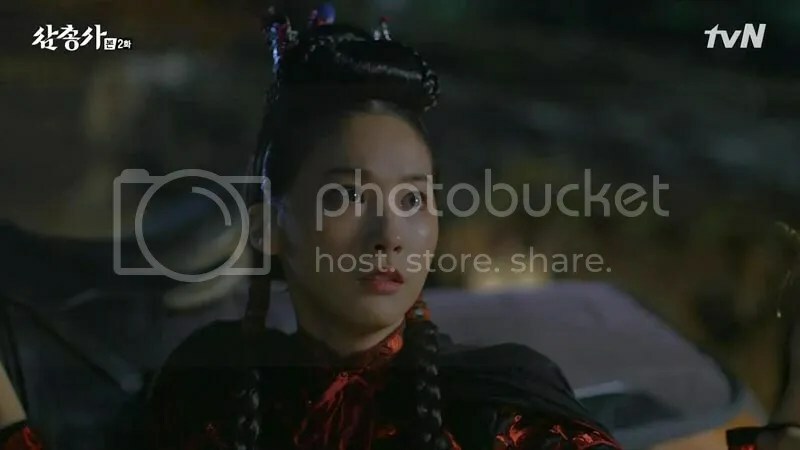 I was more interested in why Mi Ryung was trying to obtain her revenge by using this scheme rather than in the scheme itself. Nevertheless, I thought it was very interesting that the season ended with a cowardly king who escapes the palace with only the thought of his own safety. Again looking forward to Season 2, I hope the drama brings this issue up again. There was a lot to like about this drama. This season we had great characters, great motives but the secondary storyline lacked the originality that pushes the drama to the next level. I’m looking forward to the musketeers’ new adventures but hoping for improvement in secondary storylines which enhances the suspense factor. I will definitely do a year end review! I really appreciate your comments and let me know if there’s something I should be watching that I’m not currently watching. Keeping an eye out for a new weekday drama but haven’t really be swayed by the trailers.